The Newseum exhibit galleries offer 250,000 square feet of event space to accommodate standing receptions, seated dinners, and movie premieres. 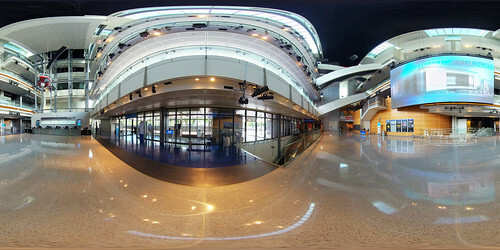 We offer rental of The New York Times Great Hall of News (Levels 1 and 2) or a full buyout with access to all exhibits. The Annenberg Theater can be rented in conjunction with either to accommodate seated programs and movie premieres for up to 450 guests.